I love these holiday weeks when Wednesday feels like a Tuesday and we are that much closer to the weekend! 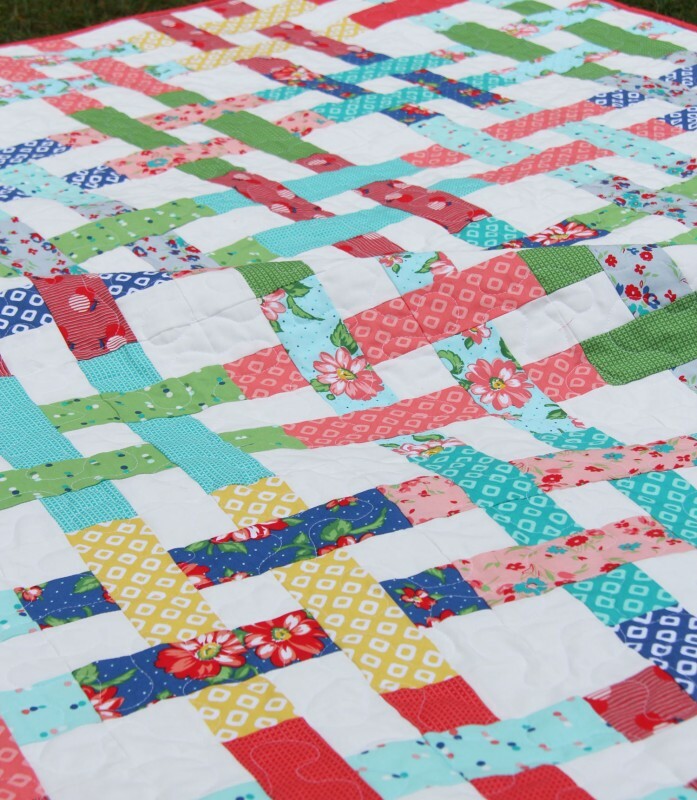 I’ve had the itch to remake this quilt for a while now, so the release of Dixie (which comes out in July for those that have asked!) gave me a perfect excuse, and the saturated colors “pop” perfectly against the white. This was one of my early patterns and is still one of my favorites to watch come together into the “woven” looking pattern. The pattern is Basket Case, and this is a throw size 60″ x 70″. I quilted this one with my Juki in a simple meandering pattern, also known as stippling, but I’m not sure which is correct. Maybe both? Have a great rest of your Tuesday….I mean Wednesday! PS. The winner of the Scraps Inc. Volume 2 book from my last post is Liz (I emailed you!) who has a scrap of Zebra fabric she’s hoarding. I loved loved loved reading about all your precious scraps…and I think I have a lot of the same in my bin(s)! Thank you for sharing this!! I have this pattern of yours, and a jelly roll of Wildflowers (as well as some yardage of the fabric, because it is too gorgeous!). I was thinking of using my Wildflowers for making basket case. Any thoughts? Advice? Thanks for all your inspiration! I can’t wait til Dixie comes out!! It’s absolutely beautiful! I love this pattern, but I love all your patterns. I am going to use your new line for this one! Wish it was coming out sooner! 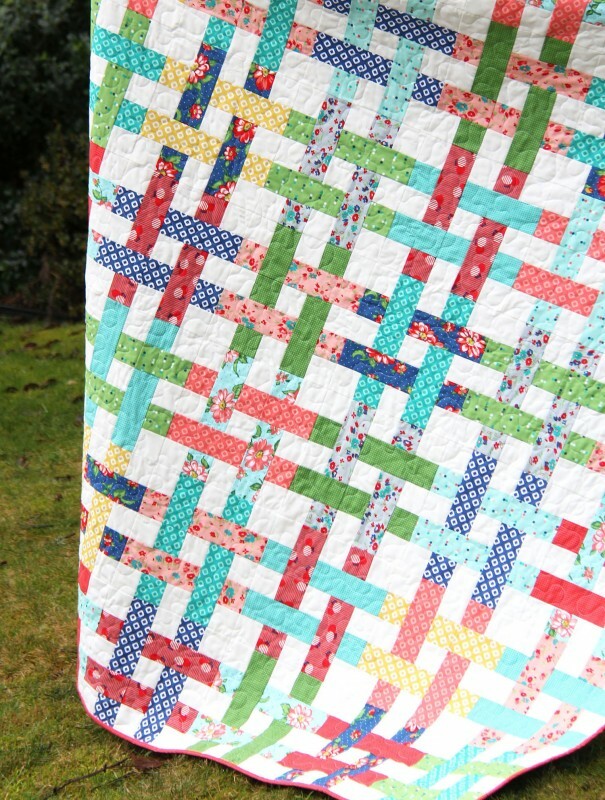 Hope your feeling ok.
I’ve always loved this quilt pattern. It’s stunning in your new fabric, Dixie! I’ve made this pattern twice now. Funny, the first time I had to refer to the pattern for every single block. My grown daughters argued over who would get it and ultimately drew straws. (Only time that’s happened.) The second quilt I never even had to look at the pattern. I was offered $ for it before it was even finished but it was being made for a woman needing comfort. Hopefully it has provided some. 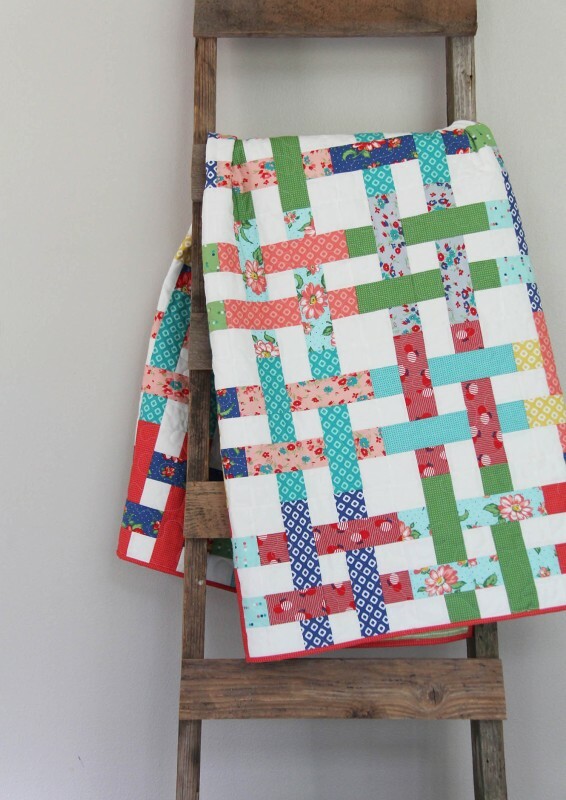 Love this quilt, and the fabric looks yummy!! Can’t wait to see it in person!! :-) Hugs, H PS, are you feeling well? When is the baby due? Basket Case looks so great in your Dixie fabrics Allison! So bright and fresh it feels like summer! Lovely pattern and great fabric combination! makes an amazing quilt.